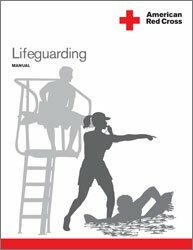 At LifeGuardTrainingHQ.org, we believe in being as transparent as possible when it comes to the site. With this in mind, please understand that we either do or intend to place ads on the site from various advertisers as indicated by the “Advertise” link on the menu of the site. We will also be listing Google Adsense ads from time to time. You should be able to see these as text links or blocks of ads which have a small notation indicating “Ads by Google”. Finally, we intend to add products to the site in the future for which we will receive compensation for any purchases by site visitors. There are millions of such products on the web, but we include only those that we’ve researched and believe could benefit you in becoming a Lifeguard. Just to make clear, we provide links on the site to information such as information resources for which we receive no compensation. Our mission is to help our visitors find a rewarding career in Lifeguarding, but this is also very clearly a for-profit site and you should realize as much.